﻿Convenient automatic function for quick opening, high-quality windproof system for maximum frame flexibility in stormy conditions, flexible fibreglass ribs, lightweight bamboo shaft, STANDARD 100 by OEKO-TEX® certified polyester cover material made of recycled plastics, bamboo tips, straight bamboo handle with black push-button and promotional labelling option. 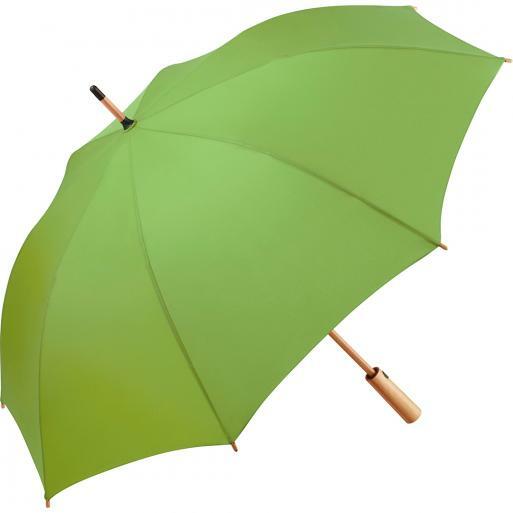 Also available as mini umbrella (art. 5429).